It's been a bumper week for Japan's console platform holders; results from both Sony and Nintendo confirmed that both PS4 and Switch continue to do incredibly well, with hardware sales bumping along at a solid pace and software soaring. The results are especially positive for Nintendo, in some respects, since they come after months of negative speculation about the company's fortunes which have weighed heavily on its stock price. Much of that negativity seems to have related to an expectation that this quarter's results would compare poorly with the strong sales of Switch in the same quarter last year. While hardware sales did fall (unsurprisingly, given that the comparison is against a launch quarter featuring strong demand for Legend of Zelda: Breath of the Wild and Mario Kart 8 Deluxe), the fact that they remained within the same ballpark is a testament to how well demand for Switch has held up. "For PlayStation, the strategy seems to be panning out to one of supporting every quarter with a tentpole release"
Looking at the bigger picture, the really important thing about both company's results is that they essentially mean that both major platforms remain on track to hit their ambitious annual guidance numbers. That means that guidance for Switch, which is selling more strongly than the Wii was at the same point in its lifespan, remains set at 20 million units this year. The PS4, with an installed base of almost 85 million, is certain to top the 100 million mark within the next couple of years. These are huge endorsements of where we presently stand in terms of gaming hardware, and while specialist interest in the next generation of hardware is only going to continue to rise, these results should serve to temper our view of how much the average consumer cares about new hardware. For many millions of people, the current generation is still only just getting underway. Switch and its success muddies that water even further, of course, since it's a console less than a year and a half old, and still absolutely brand new tech from the perspective of most consumers. Switch is really hitting a mark that Nintendo has often swung for and often missed; it's come to market out of sync with other console generations and seems capable of almost entirely ignoring what PlayStation or Xbox are doing, as it's addressing an audience that can comfortably overlap with theirs. There are naturally certain points where Switch competes directly with PS4, but for the most part it is filling a very different niche - one that is in some ways even complementary to the existing consoles. "Sony has slowly reinvented its role from being primarily a hardware platform holder to being a lot more like Nintendo"
A big part of the reason why Nintendo can achieve this is down to its first-party line-up, of course. The form factor of Switch lends it a unique edge, but the core appeal of Switch is being the home of games that you simply can't play anywhere else - Mario, Zelda, Splatoon and so on. 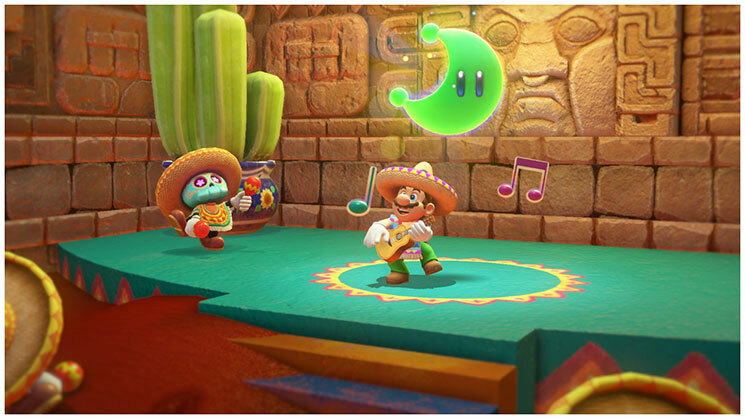 The strength of Switch lies in the strength of Nintendo's exclusive software output, and nothing demonstrates this more clearly than the fact that launch titles like Mario Odyssey continue to have an attach rate above 50 per cent despite the console's strong ongoing sales - an almost unimaginably high ratio. That's nothing new for Nintendo. When the company does well, it's almost always because of a well-managed and strongly executed software slate, but what's interesting is the extent to which the underpinnings of Nintendo's success are also to be seen on the Sony side. For PlayStation, the strategy seems to be panning out to one of supporting every quarter with a tentpole release - a process which looks risky, given that it involves Sony pouring resources into gigantic, generous blockbusters that no other company would be willing or able to fund, but also a process that seems to be working amazingly well. The company didn't release details on individual software titles' performance in its financial results, but it's a safe bet that the exquisite God of War effectively held up the sky for Sony in the past quarter (insert your own Grecian-themed Pillars of Hercules gag here). It would be unwise to bet against the next quarter being even better off the back of Spider-Man, a title which is likely to be one of the year's best performers, and The Last of Us 2 will play a similar tentpole role in whatever quarter it arrives in. "Microsoft released excellent hardware, but it didn't show the will or capacity to evolve its software offerings"
These are hugely expensive gambles, but they're paying off handsomely, and they reflect a Sony that has slowly reinvented its role from being primarily a hardware platform holder to being a lot more like Nintendo - primarily a software publisher producing tentpole releases, with the PlayStation platform as a whole both supporting and being supported by that software. Sony's execution on this kind of strategy is the real success story of the PS4 era; if the company can effectively and smoothly manage the transition period it's likely to enter into in 2019, shifting to next-gen hardware without causing a PS4 game drought or stumbling in some other way, it'll have executed damned near perfectly across a full hardware cycle. Looking at the surprisingly similar position these two very different companies have arrived at in terms of the synthesis of their software and hardware efforts, it becomes easier to understand why the game console market is booming in spite of the dark predictions that it would be wiped from relevance by the proliferation of smart devices and cheap, powerful PCs. While being a platform holder is a non-negotiable part of the business model for both Sony and Nintendo, they've each independently come around (Nintendo much, much earlier) to the approach of being first and foremost a developer of world-class software, with their hardware platforms existing in a symbiotic and mutually supporting relationship with that software. This is the missing link, as far as the continued success of game consoles in an era of smart devices goes; platform holders with the skill and capability to create world-class, exclusive software and build a business around it. That's what Microsoft missed in this generation. It stumbled early but went on to release excellent hardware in the form of Xbox One S and X, but it didn't show the will or capacity to evolve its software offerings to the same extent as Sony until the generation was already almost spent. Microsoft has paid dearly for that miscalculation - quite literally, given the undoubted expense of their recent studio acquisitions. There's always been a truth to the console business being essentially a software business that hardware only exists to service, but it's never been quite as clear as in this generation, and that model looks set to define consoles for years to come. As long as platform holders continue to hold that advantage, to be willing and able to create the exclusive games that no other publisher can afford to fund or take a risk on, there'll always be a market for game consoles - no matter how smart every other device gets along the way.